Renovating your home requires careful planning, and every room you tackle comes with its own set of choices. One of the most important decisions you'll make is the choice of flooring to install in your home. Dothan, AL’s Surplus Warehouse explains how to pick the best flooring and what to consider when making your decision. Before choosing which flooring is best, consider how much traffic each room will see. Floors endure a lot—walking, sitting, playing, and even spilling. If you have a family, keep in mind that children and pets make a huge impact on flooring; they can cause the floors to need more thorough, regular cleaning. Carpet is a popular choice for living areas like family rooms and bedrooms. It’s warm, inviting, and great for bare feet. It also absorbs sound, making it a perfect choice for second-floor bedrooms. Carpet insulates a room, so it's a great choice for rooms with no heat below them like a garage or a concrete slab. For bathrooms, vinyl, tile, and marble are great options. Durable in moist environments, these materials come in a variety of styles and price tags, so finding one to suit your taste and budget is relatively easy. When choosing kitchen flooring, durable materials that are easy to clean, such as laminate, vinyl or ceramic tile, work best. These materials are typically scratch resistant as well. If you choose ceramic tile, check that your subfloor is in good condition to prevent cracking when tiles are laid on top. Another factor to consider is whether you prefer smooth or textured flooring. Smooth surfaces tend to become slippery when wet, so if you have children, a textured tile may be a better option. 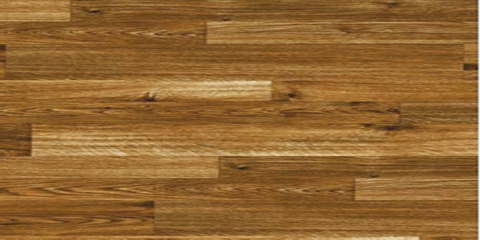 Wood is a durable flooring choice that's good for most high traffic areas, even kitchens. Hardwood adds a warm, cozy feel to a room that tile does not. Apply a protective finish to wood flooring in kitchens since that room is usually more exposed to moisture. Hardwood floors are easy to clean and add value to your home. Long lifespan and long-term versatility are bonuses—this type of floor can be sanded and refinished over time. With multiple locations, Surplus Warehouse offers building supplies, tools, and other equipment for home improvement projects of any size. Their top-notch customer service and quality product inventory make them the number one choice for landlords, contractors, and homeowners alike. Visit their website to find your closest location or call their Dothan, AL, location at (334) 673-5625.